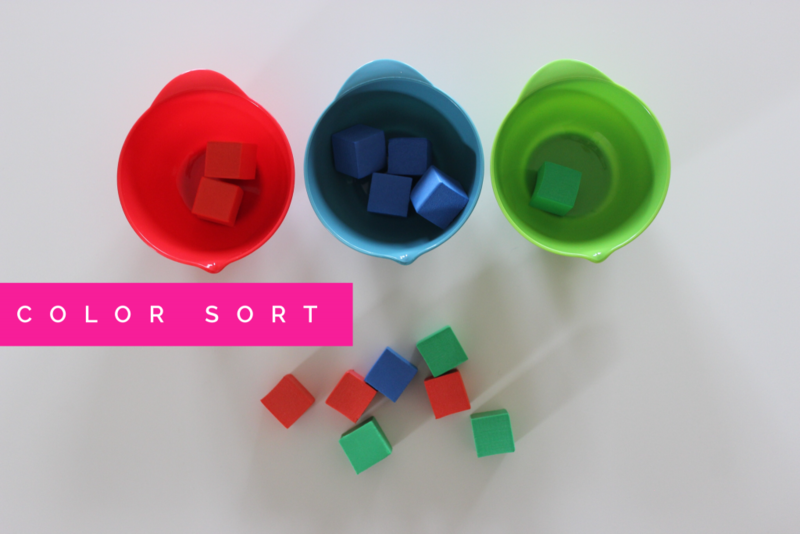 This exercise allows your little one to physically touch colors and sort them out in little containers. Now, we know that all Dollar store’s don’t have the same items, but this is where you can get even more creative and find whatever works with what you have. Our local store had these great little cups, 4 to a pack. If you can’t find cups like this just get a stack of those white paper cups in the party section, mark them with a crayon or marker based on the color to sort for that cup. You can take it a step further and line the outside of the cup with construction paper. I was able to find these foam cubes, 50 in one pack. Can’t find cubes like this? No problem. Use construction paper. Cut them up into squares. 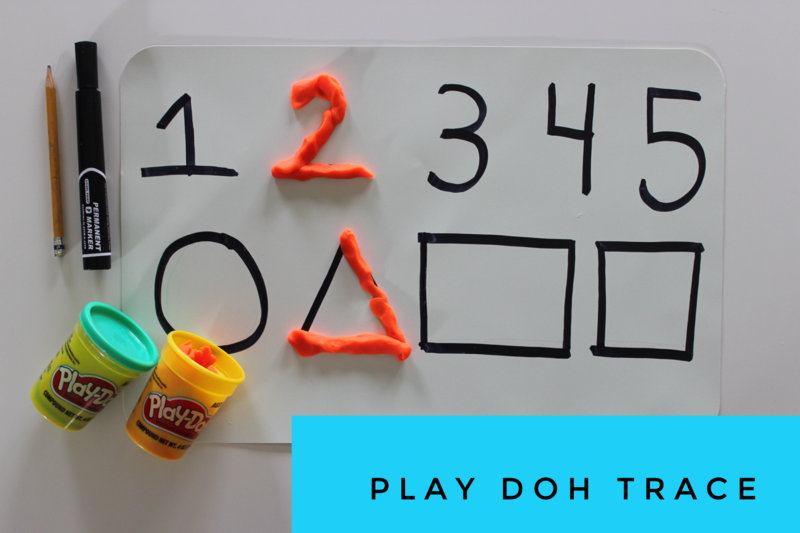 This is one of my favorite toddler activities. Our son loves to stacks blocks, his food lol anything he can get his hands on. 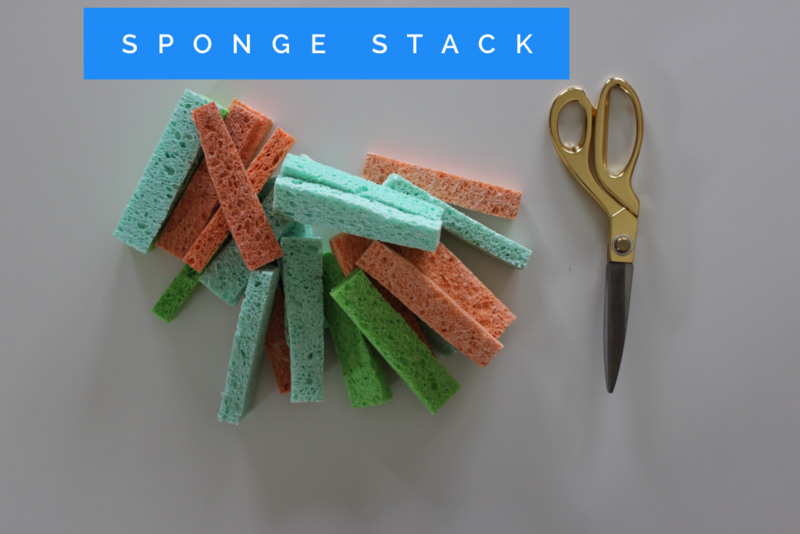 Sponge Stack is great because you can really cut them however you like and turn them into objects to stack up. I just cut them horizontally, but of course the possibilities are endless here. 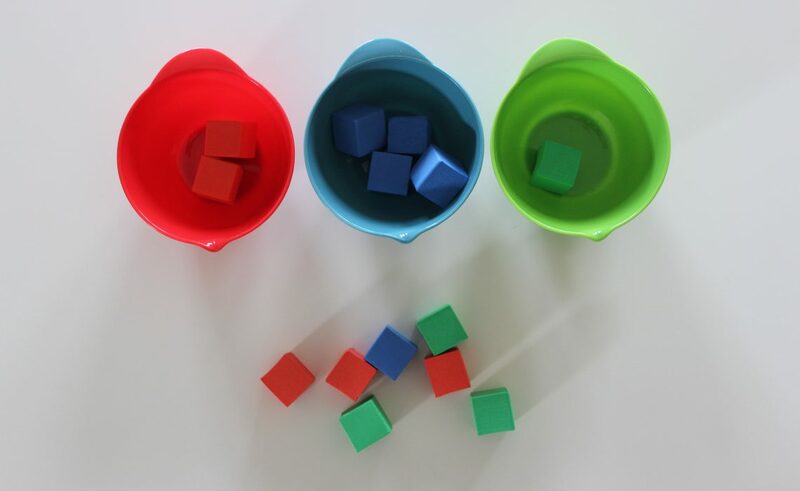 You can create square or circle shapes. We hope you enjoy these toddler activities. I am sure they will love playing these games. It was so much fun seeing him play with activities I have created for him. There will be a part II to this post, where I will show you how to upgrade these games, making them a bit more challenging after they have mastered these exercises. Got questions? Please also visit me over on The Natural HIGH Blog.